Leaving the contracting world meant leaving my wonderful gold SAICO insurance behind so off to the government dentist I go. My mom keeps telling me how wonderful they are and I should give them a try so I did. I met a lovely female Kuwaiti dentist who did an excellent job. I got there 45 minutes early and was the second person in line. After a check-up I only needed a cleaning so I had to wait as there are only 2 chairs in this clinic. After the first lady finished I was called into the room. 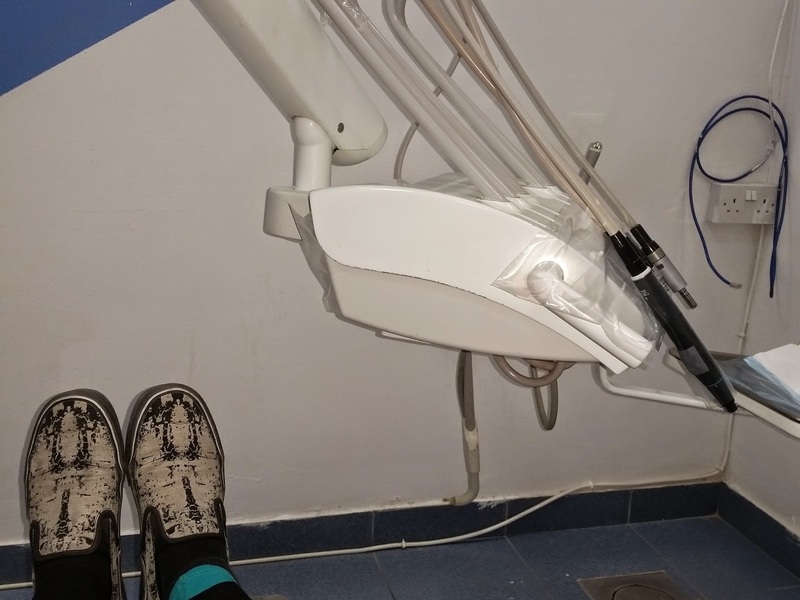 When I saw the equipment I wasn't surprised but sad that the dentists had to work on old equipment. I can't imagine studying abroad on all of the latest equipment to come back wanting to give back to the country and met with old fading items. This to me might be one of the reasons Kuwaiti medical professionals train in the clinics and move on to private ones that have the latest gadgets. There wasn't a mask to cover my eyes while my teeth were cleaned so I go a facial as well, mafi moshkilla. I know it is no fault of their own and they work with what is given to do their job. I will definitely go again and next I will take my son. The dentist was asking the assistant if the polishing machine was working today as it was broke before, thankfully it was today. 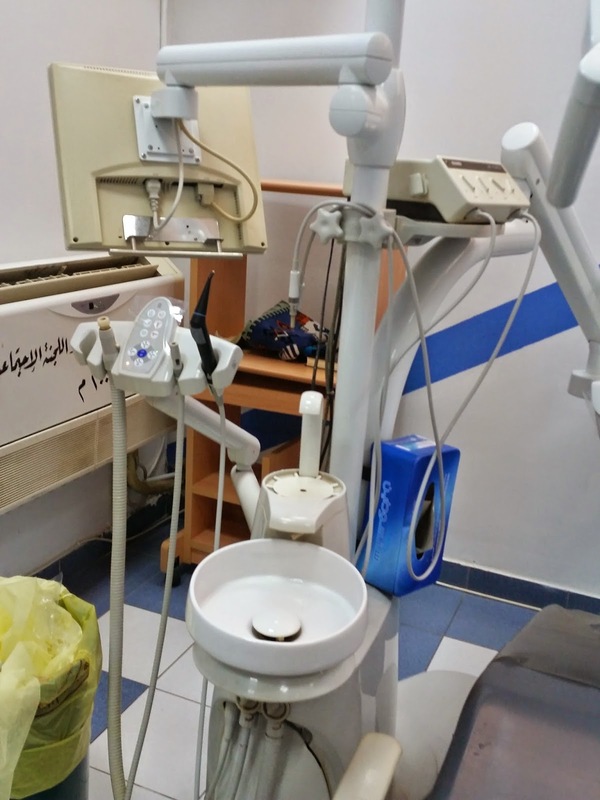 Thanks to the Kuwaiti dentist, you did a great job! Perhaps more Kuwaiti citizens would be interested in giving back to their country if they could work in places that had newer equipment instead of having to just get by with what they can find. I really think every clinic in Kuwait should be upgraded if not for the people who visit then for the citizens who want to work there.